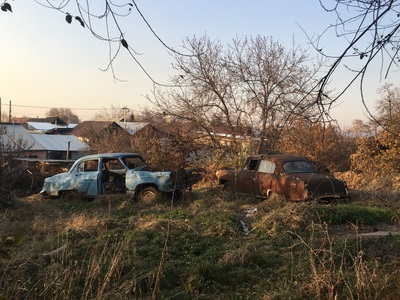 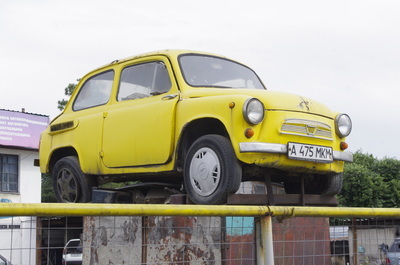 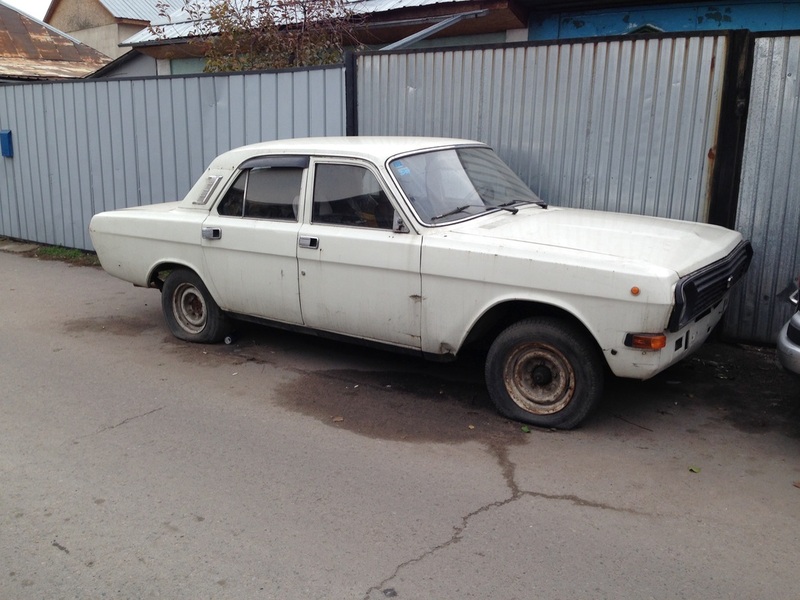 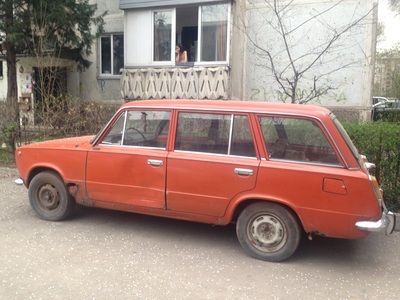 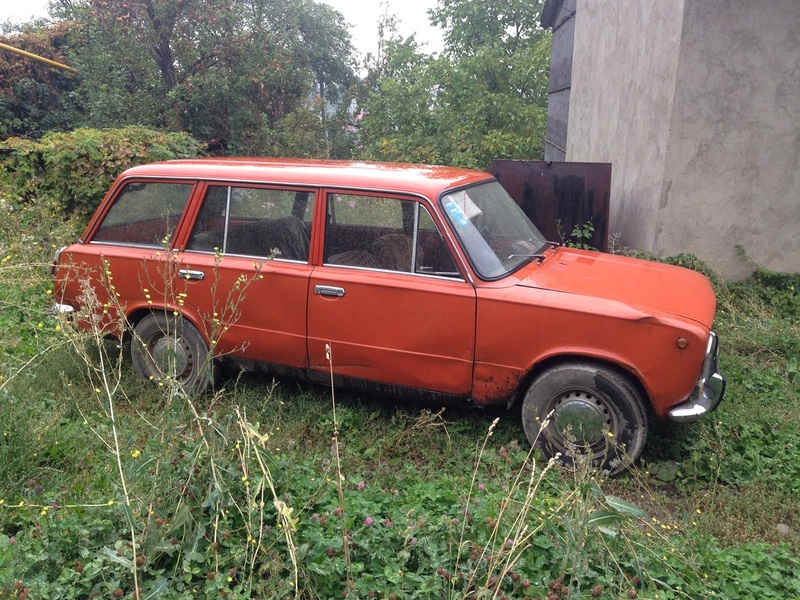 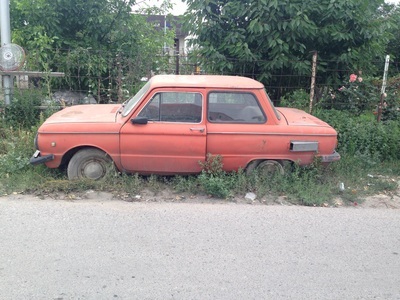 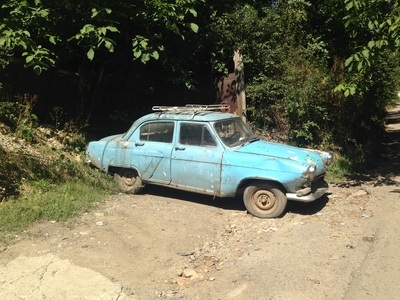 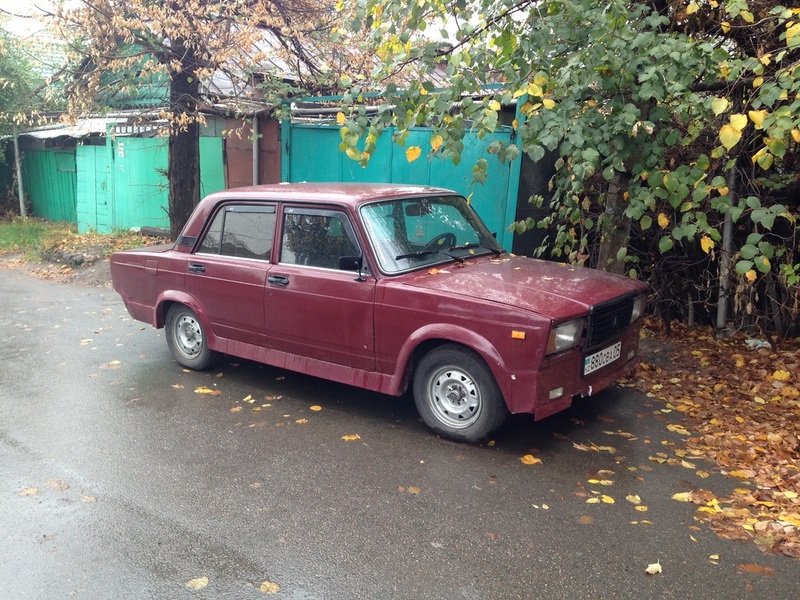 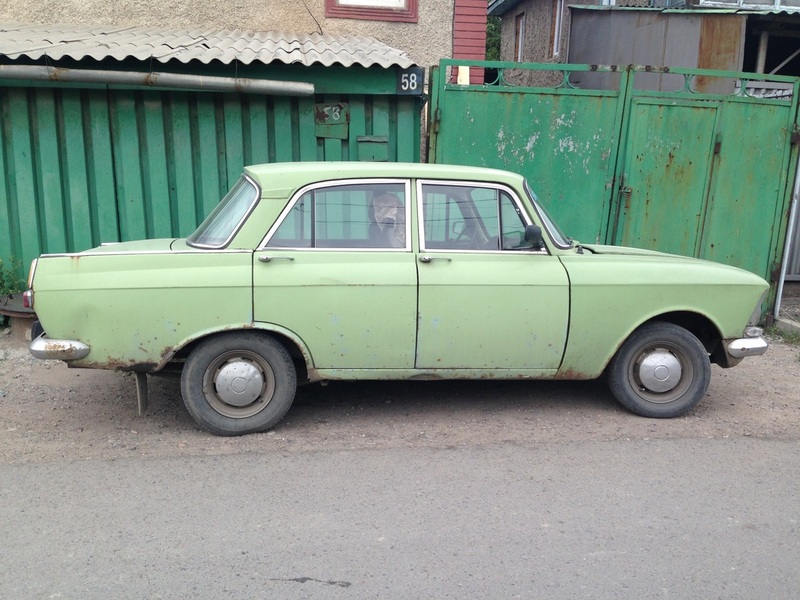 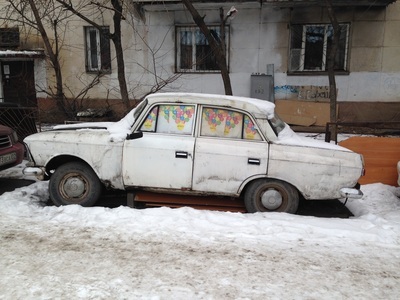 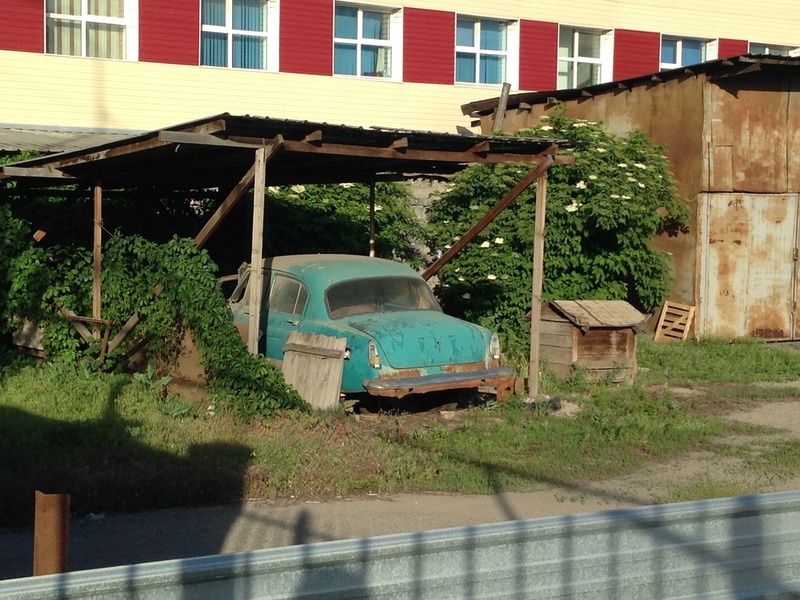 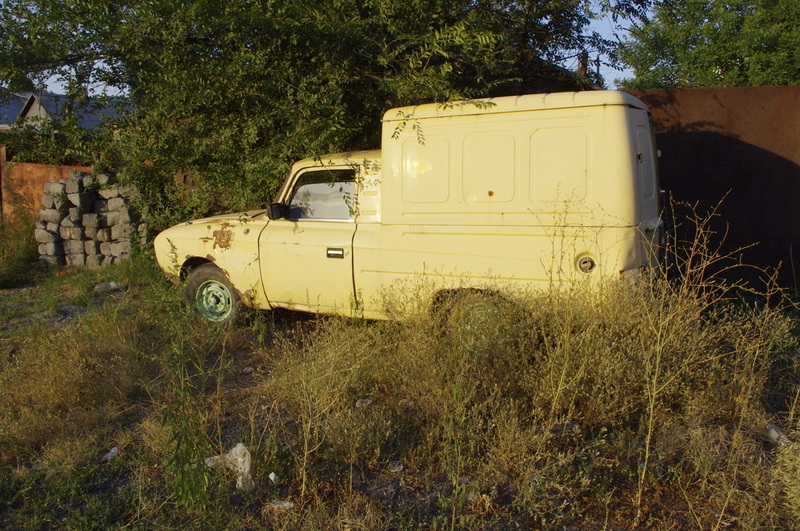 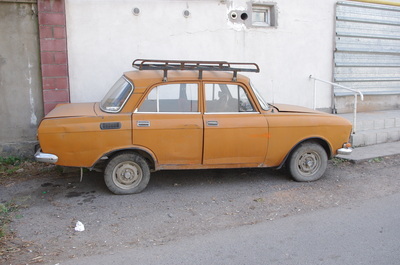 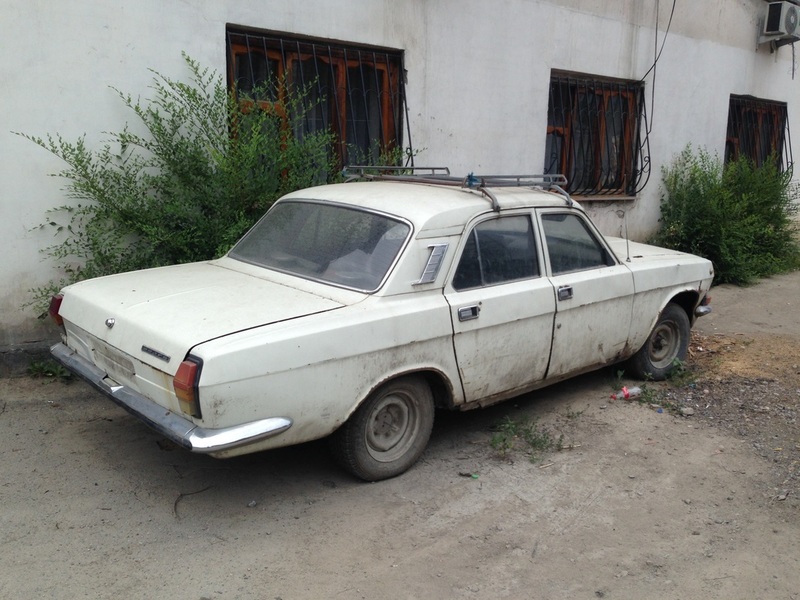 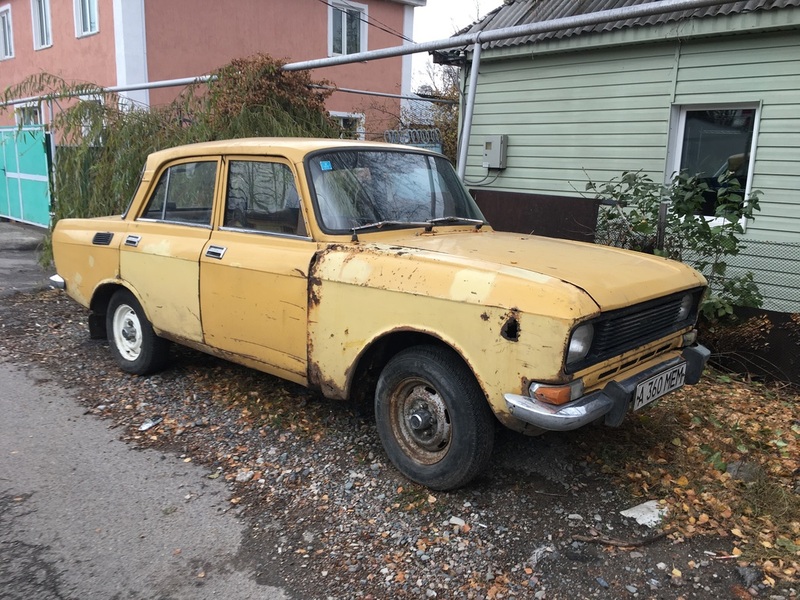 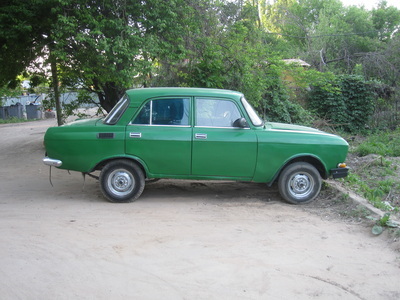 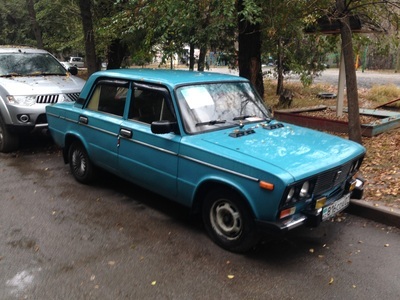 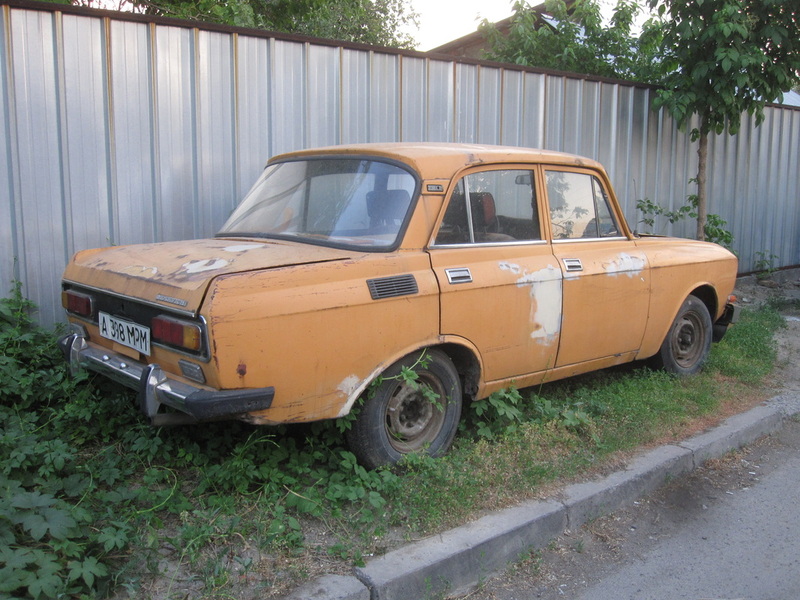 In Kazakhstan, the iconic Lada lives on mostly in the village, where poverty has kept them running way past their prime. Almaty, on the other hand, is crammed full of fancy modern rides, big shiny SUVs and crossovers being especially trendy. 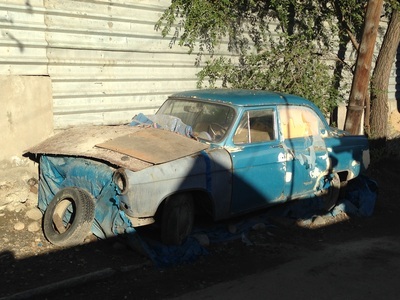 Yet most of the cars in Almaty have no sense of place - that Toyota could be just about anywhere in the world. 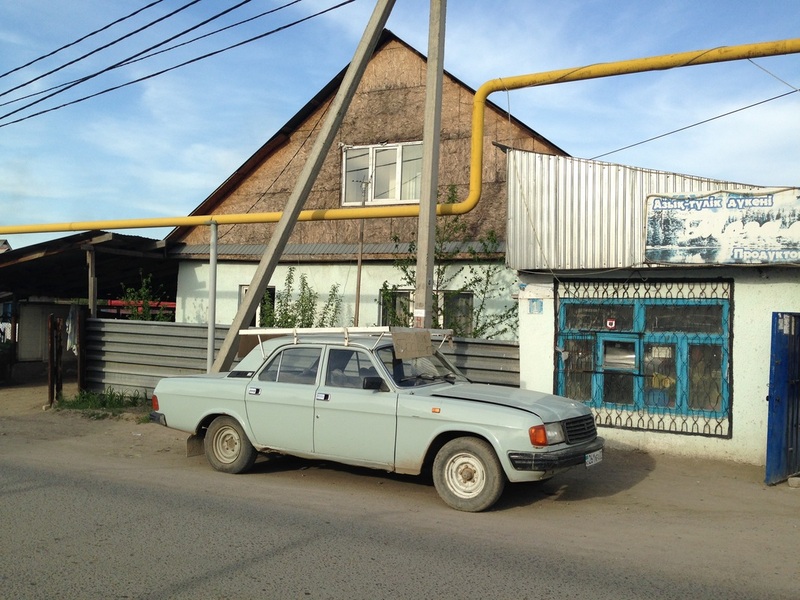 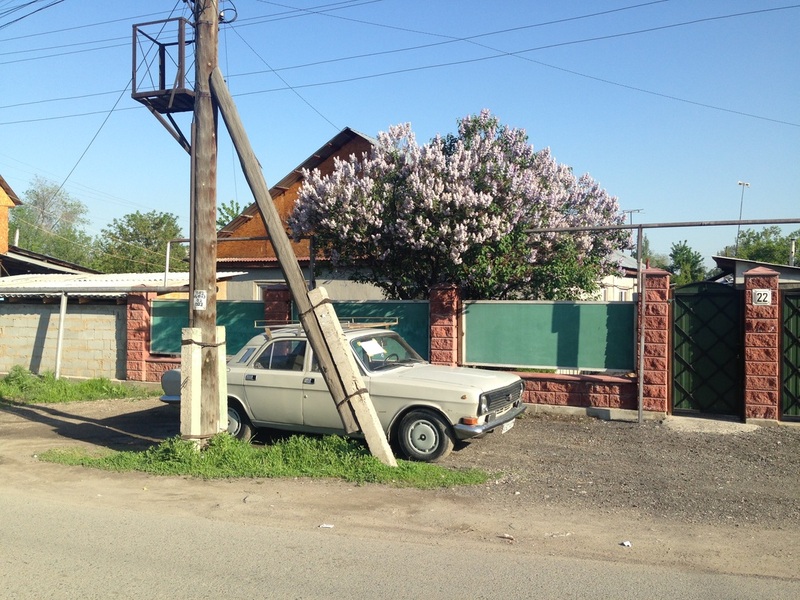 The Soviet car, the Lada, the Moskvich, the Zhiguli, can tell you something about where you are what this place has been through, and it's the Soviet car, tires flat, windows broken, that has most often become a permanent installation of suburban street furniture, actually becoming a part of the place itself. 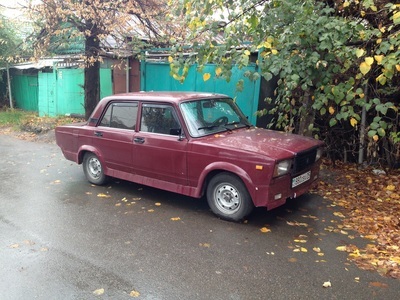 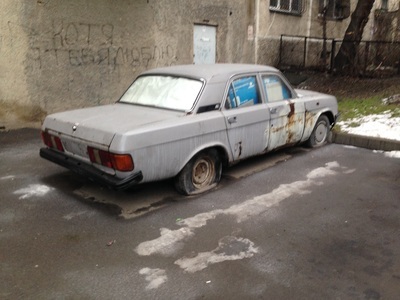 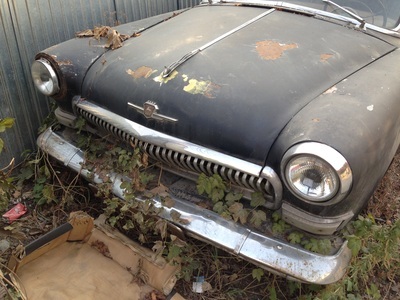 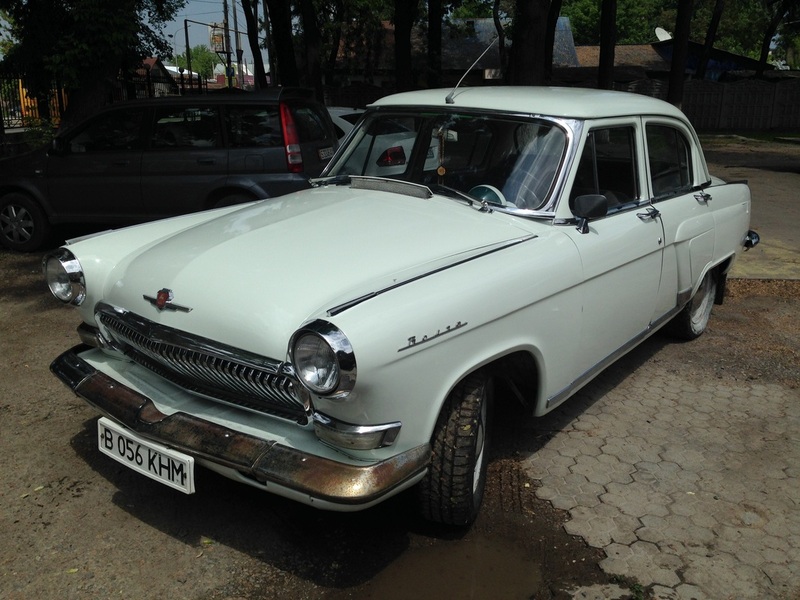 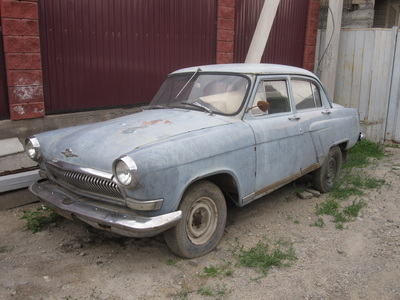 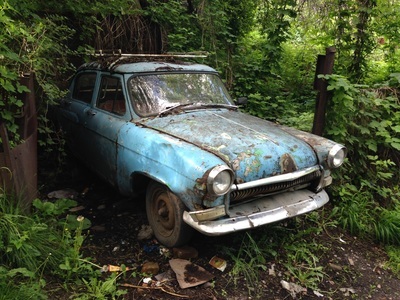 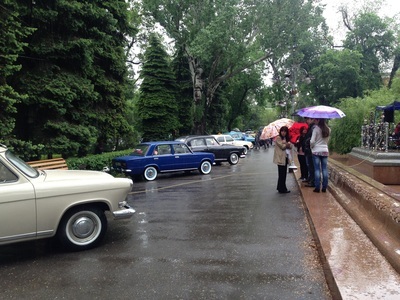 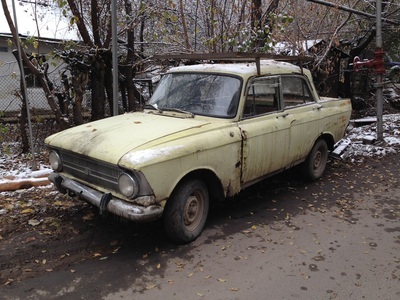 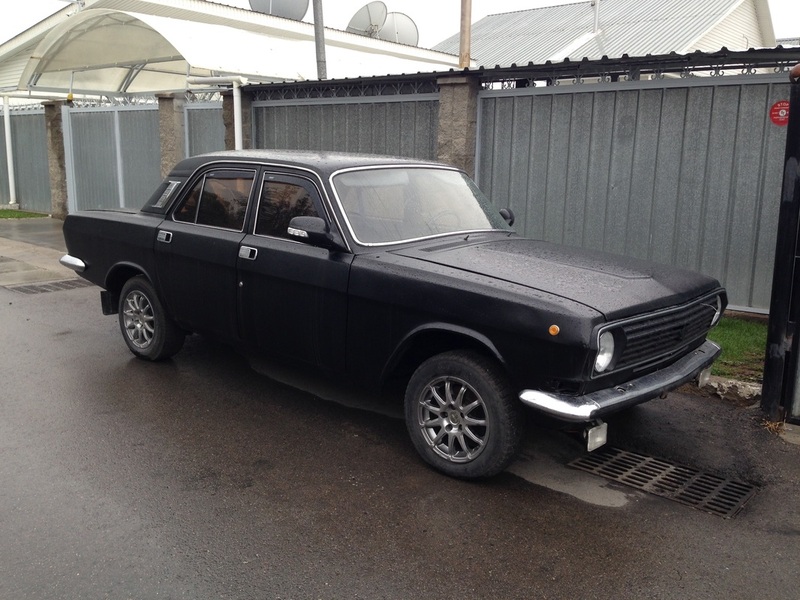 The Ladas, to be honest, get old pretty fast. 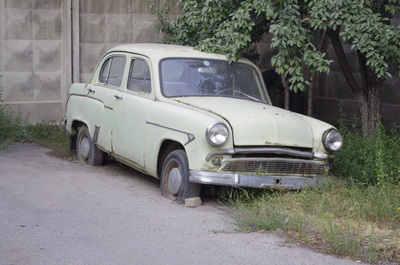 There are dozens of models, 401, 407, 412, that all look the same, and the only way to tell them apart is to take a magnifying glass to door handles and headlights. 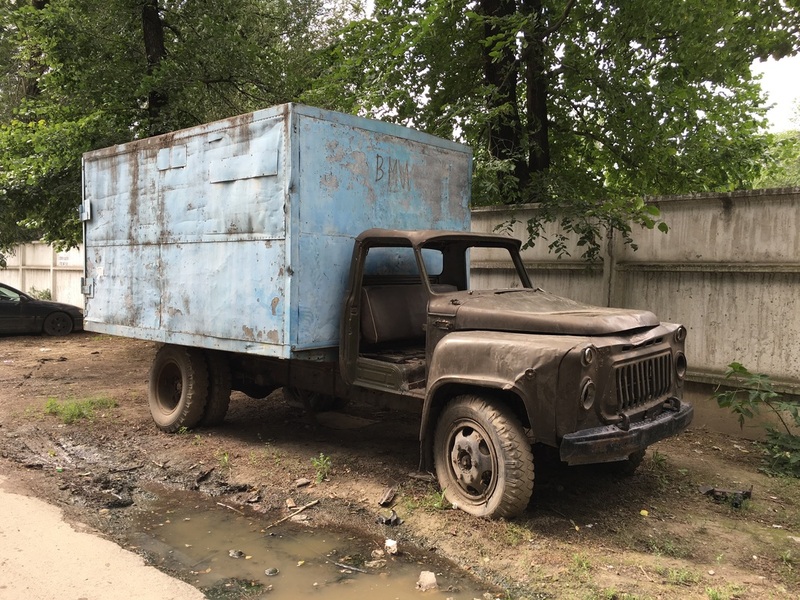 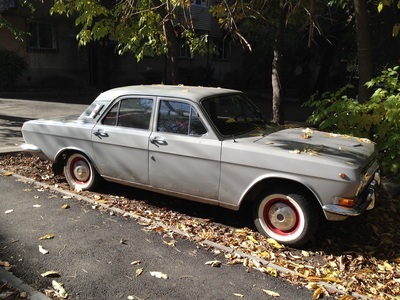 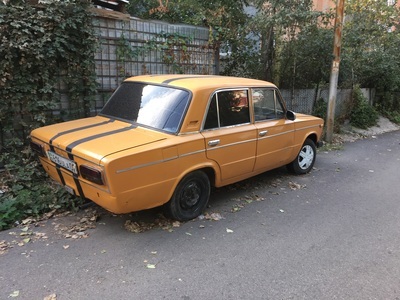 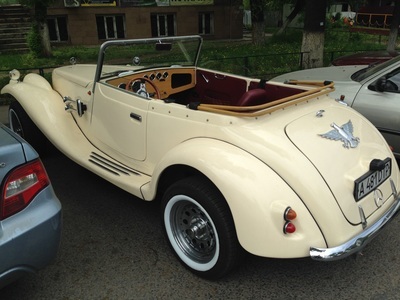 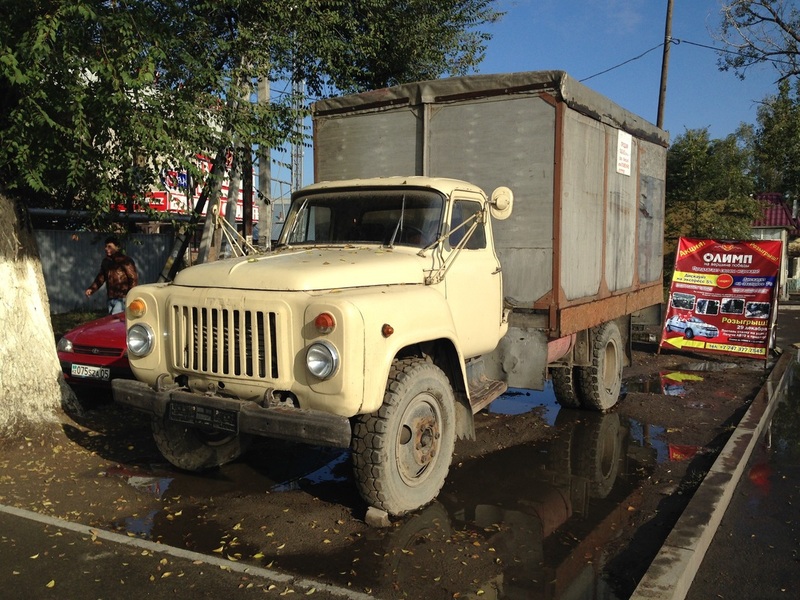 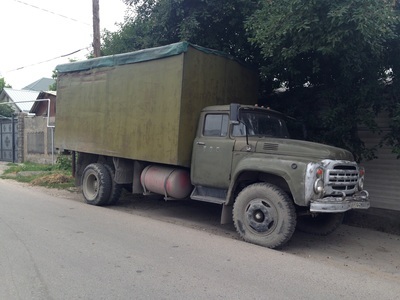 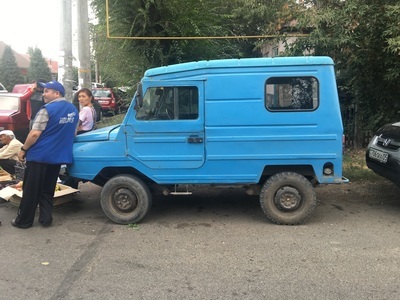 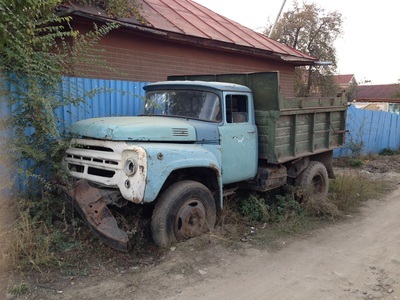 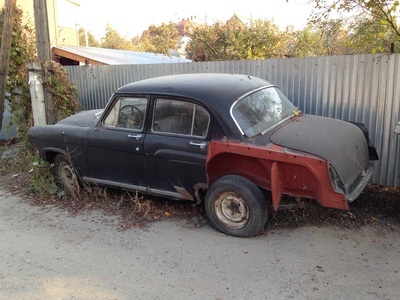 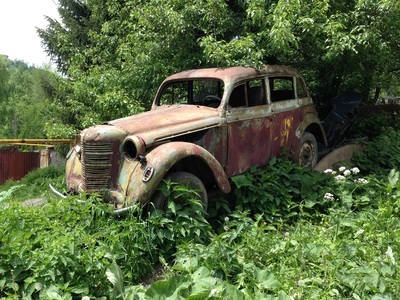 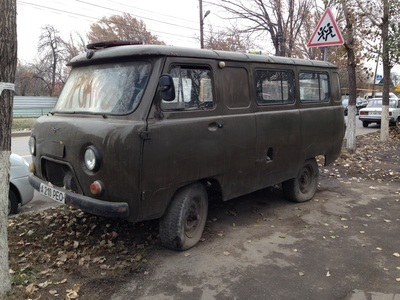 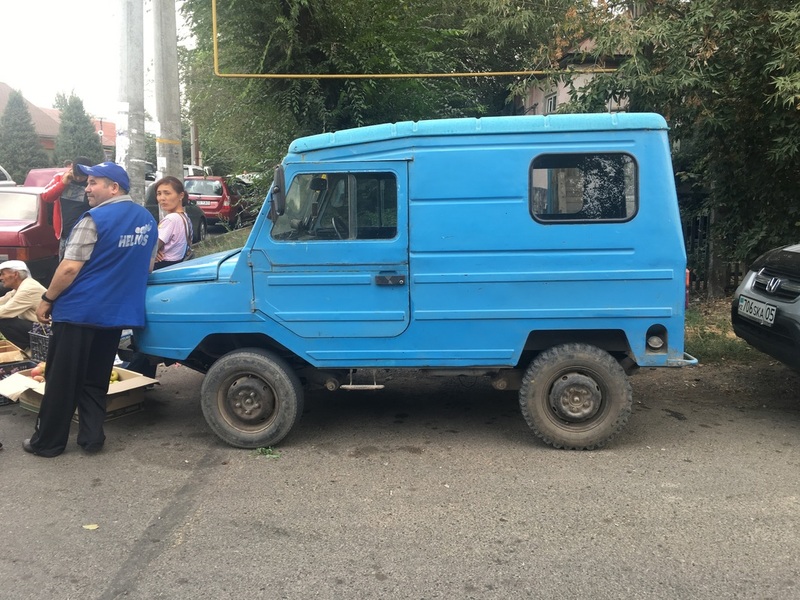 A more interesting find is the Beetle-like Zaporozhets, nicknamed "the Humpback" [Горбатый; Gorbaty] because of its stumpy appearance; the IZh-2715, a kind of truck/car hybrid used by confectionaries and thus nicknamed "The Little Pie" [Пирожок; Pirozhok]; or the second-generation Moskvich cars from the late 1950s, with bulbous headlights and wing-like fenders in a style called Ponton. You can find these dinosaurs sitting up on sidewalks or stranded in dead ends, involuntarily retired but kept around for...for what? 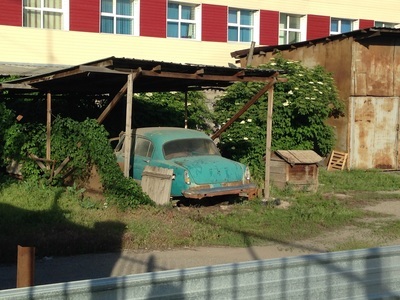 In the hope that they will one day be refurbished? 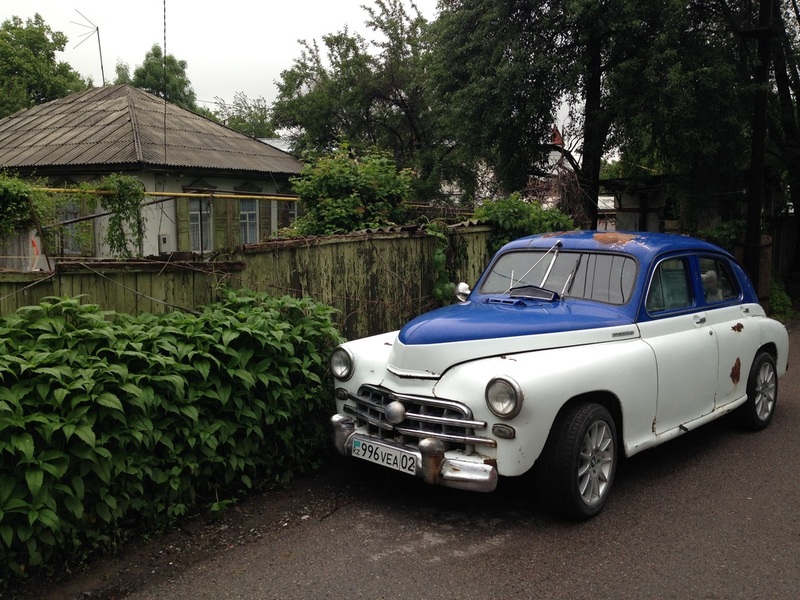 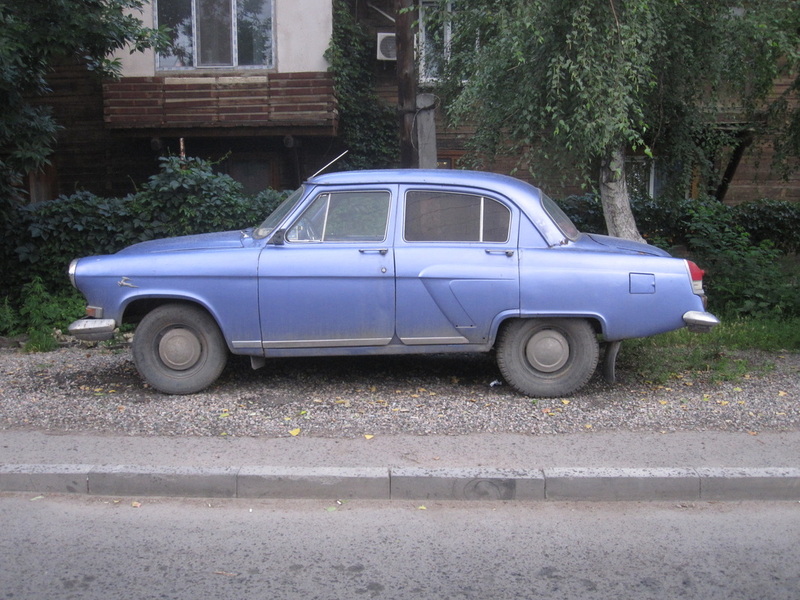 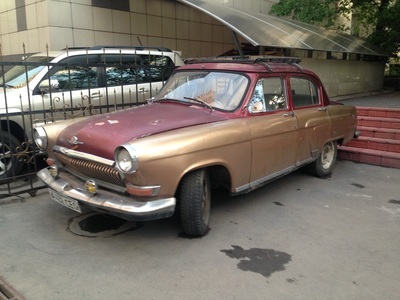 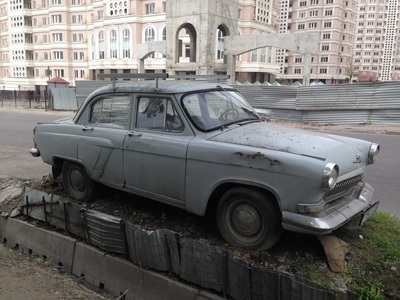 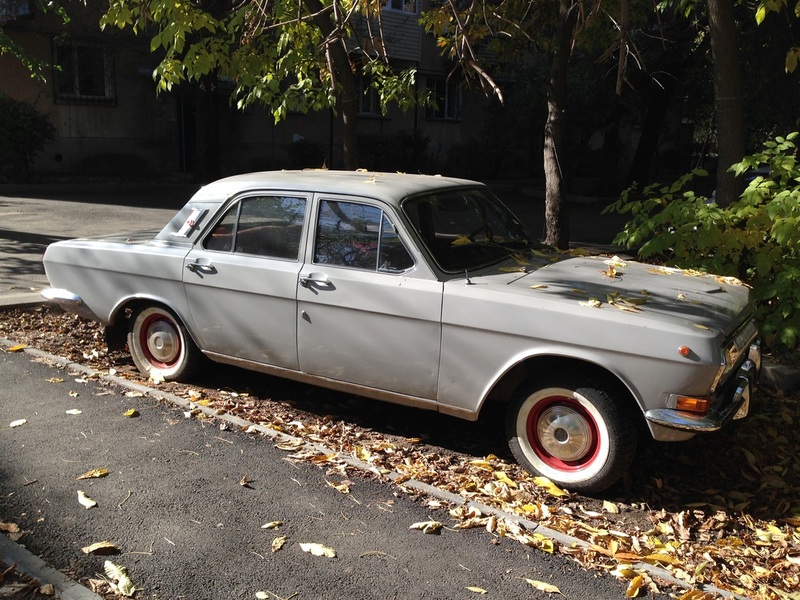 Or perhaps as a reminder of a faraway time, when all cars were stamped by Soviet power and the streets were smooth and trafficless.